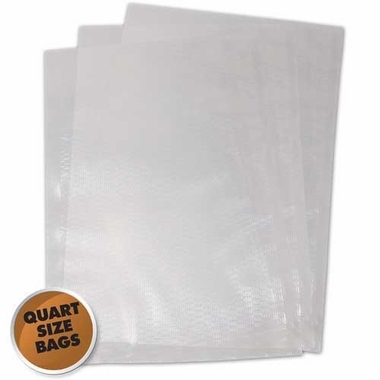 These Commercial Grade Vacuum Bags 8 in x 12 in (100 bags) are ideal solution to store food and non-food items, preserving collectibles, valuable documents, silver or electronic devices. These BPA-free vacuum food bags are resistant to toxic chemicals and comes with locking freshness and air removable system to maintain the nutritional value and quality of your food. 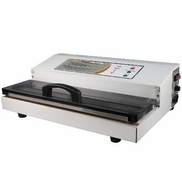 Made from FDA listed food safe materials, these vacuum food bags can be used to marinate foods quickly and are compatible with most leading vacuum sealers brand. Ideal option for storing food and non-food uses like preserving collectibles, valuable documents, silver or electronic items! For your safety, do not use these vacuum bags after storing raw meats, greasy foods or fish. Do not use them after microwaving or steaming. These bags are not made to be stored in the oven or boiler. These are perfect for putting fruits and vegis in the freezer with my Food Saver vacuum pack machine.